We round up extra sweet meal deals for your kids on Valentine’s Day. 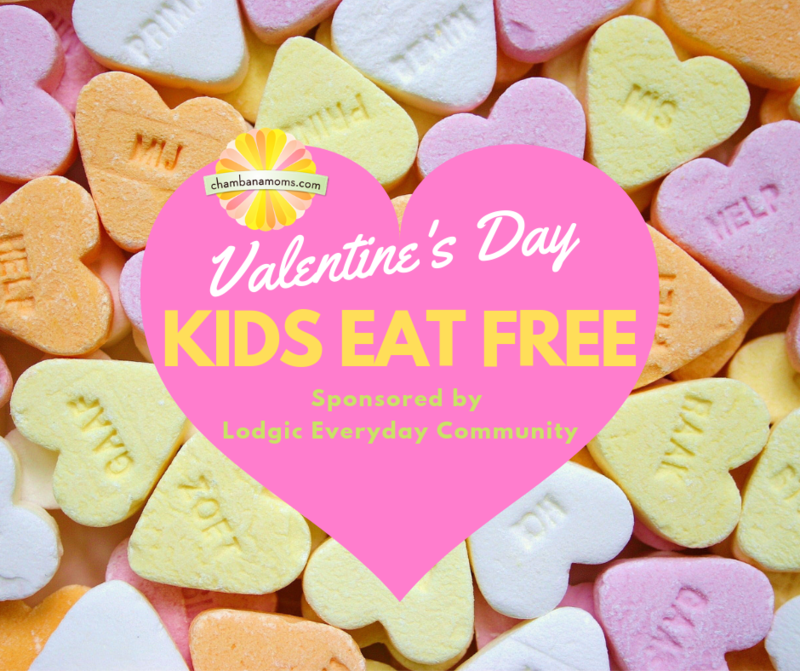 Thanks to Lodgic Everyday Community for sponsoring our Valentine’s Day events post. It’s time to celebrate LOVE with Lodgic! Lodgic’s Everyday Kitchen is offering a special prix fixe menu that includes a bottle of wine and creative, delicious food. Try chicken made with apples and brie, appetizers like lamb lollipops, or decadent desserts including crème brulee, panna cotta, or a flourless chocolate tart. Whatever your palette, the menu is sure to delight. You need not be a Lodgic member. Reservations recommended. For more information, click here. If you want to spend Valentine’s Day as a family, there are a few special deals around Champaign-Urbana for you. McAlister’s: The restaurant chain is promoting its family date night, featuring free kids meals — up to two free kids meals per adult entree purchase — for 12 and under. Moreover, it is encouraging families to “put away the electronics and engage in genuine conversation” by partnering with Table Topics, which provide placemats with “fun, thought-provoking questions sure to spark some memorable conversations as a family.” The promotion applies only to McAlister’s restaurant at 421 Town Center in Champaign and is not in effect at the University of Illinois Student Union. Thursday nights are pretty slim pickings for Kids Eat Free deals in Champaign-Urbana. Know of more Kids Eat Free Deals we missed? Add them in the comments below!